To begin, open Ace Video Converter, and then add the video file you want to extract the audio from. Then on the right of the program, click the drop down formats list. Select 'MP3' from the list. If you want, you can choose the bitrate, sample rate, etc of the MP3 file by clicking 'Show Advanced Settings' at the bottom of the panel. Click 'Convert Now' from the blue ribbon. 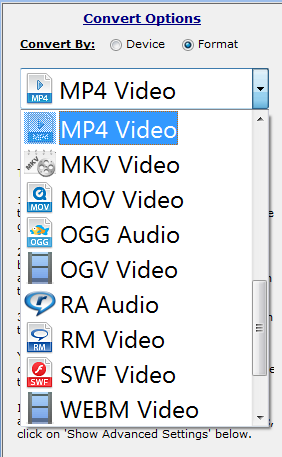 After conversion has completed, you can find your converted MP3 in the output directory that you set, or by right clicking the video file and choosing 'Open Output Destination'.